i think all of the halloween excitement from earlier this week wore out my poor fluff baby! 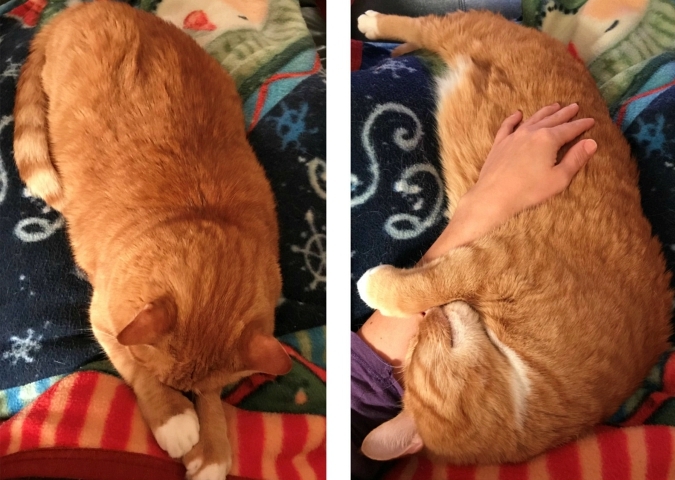 he completely passed out on my lap the other night and this morning he didn't want to get out of bed. the weather is overcast, rainy, and dreary, so i don't blame him. i'm hoping to carve out a little free time tonight after dance class to sit down and cuddle him again! Leko feels just like me, but I can not take a nap. Too many trick or treaters he had to keep an eye on. Yesterday was very damp and cool down here too.